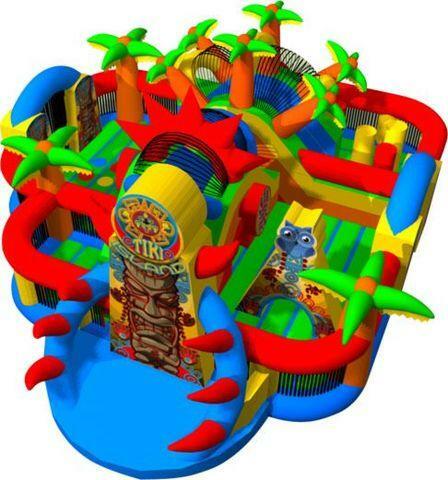 Once kids land on this Tiki island inflatable playground, they won’t go until have enough fun. This is a large inflatable playing field with blow up tiki totems for kids to explore and play together. Slides, tunnels, obstacles, it’s just like a maze and all tangled together. $900 FOR 2 HOURS then $110 per hour after that.